What I love most about mutsotso is the exotic smell that it gives off when it’s cooking away. 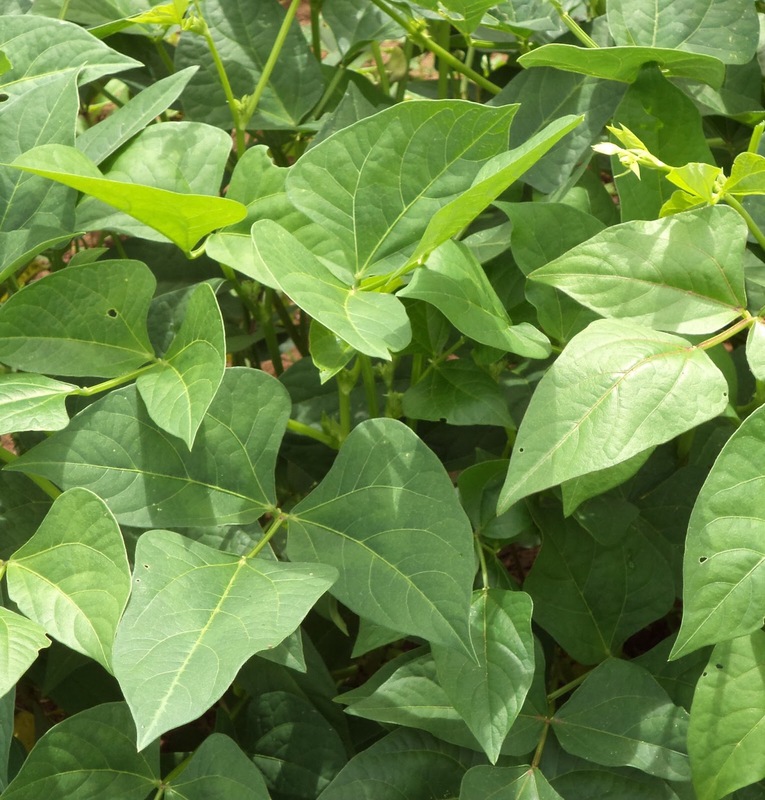 Cowpeas is nyemba in Shona and most regions in Zimbabwe the cowpea leaves is a popular relish. In Murehwa, they par boil it and then dry it out in the sun and that is used as a relish for Sadza alongside goat or beef meat. 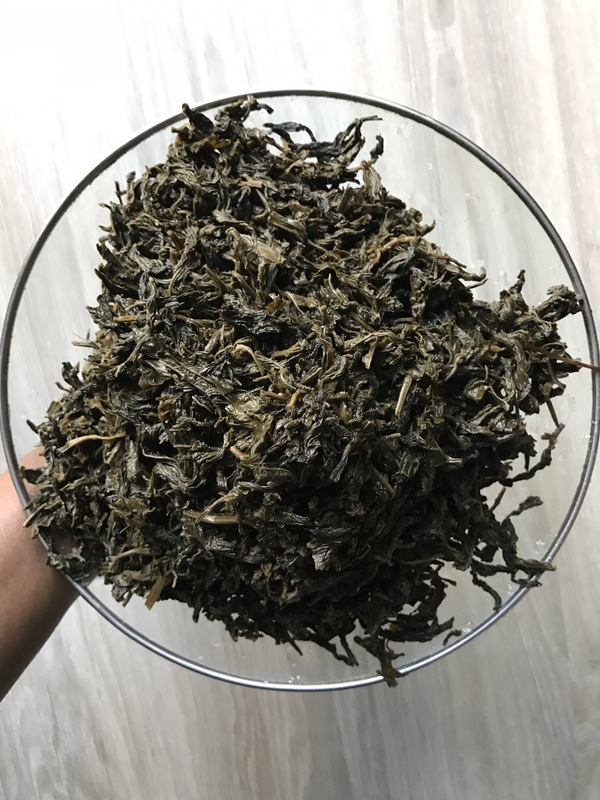 CowPea leaf, just like the cowpeas, is very rich when it come to nutrition. Besides being a good source of Protein and Niacin, it is a very good source of Vitamin A, Vitamin C, Thiamin, Riboflavin, Vitamin B6, Folate, Calcium, Iron, Magnesium, Potassium, Copper and Manganese. Besides making it on it’s own, it can be added to stews for flavouring because of its powerful scent. 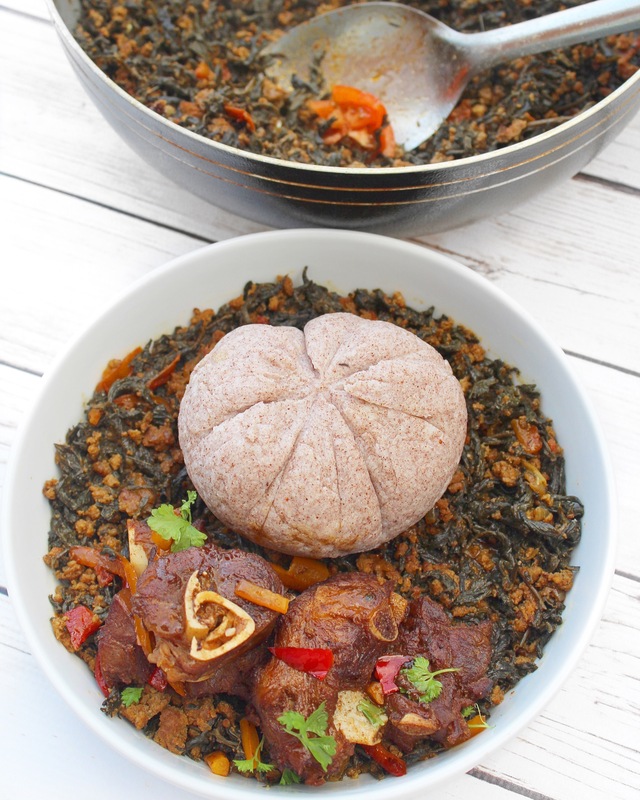 I have watched my sister make mutsotso so many times and this is a recipe I took for her which I so love and treasure. 1. In a large saucepan (pot) place your mutsotso and fill with water and boil for 2-3 hours. 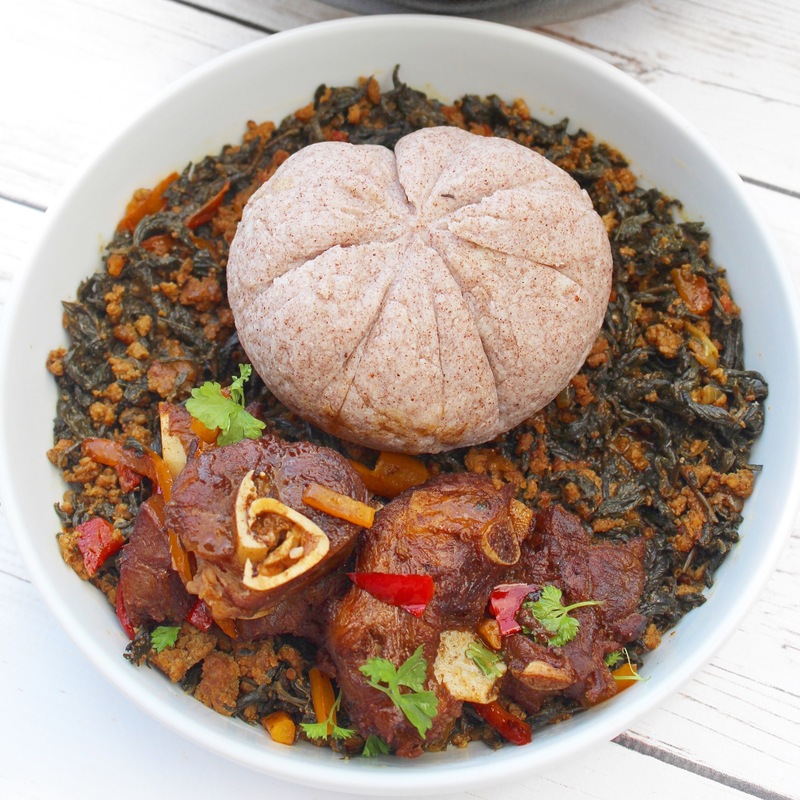 2.When cooked it should be soft ,place mutsotso in a large dish and put some of the leftover water (from boiling)on the side and let it set.Meanwhile wash the mutsotso rinsing it through to remove any sand. Repeat process till mutsotso is clean and not gritty when you chew. 3.Place mutsotso in a colander and let drain the excess water. 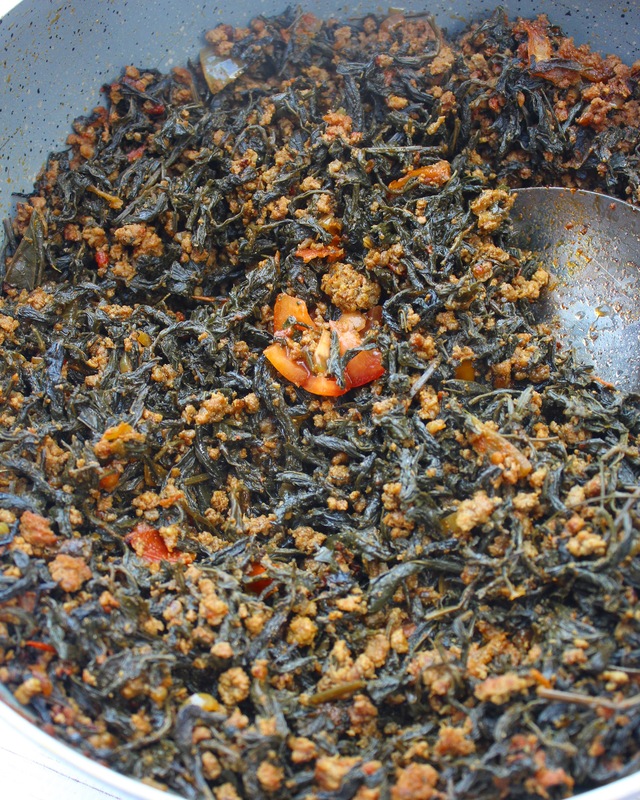 4.Meanwhile in a large saucepan place the vegetable oil and add the mince meat ,paprika,turmeric and black pepper and fry till nicely cooked.Add the onion and fry ,then add tomatoes and fry till tomatoes are cooked. 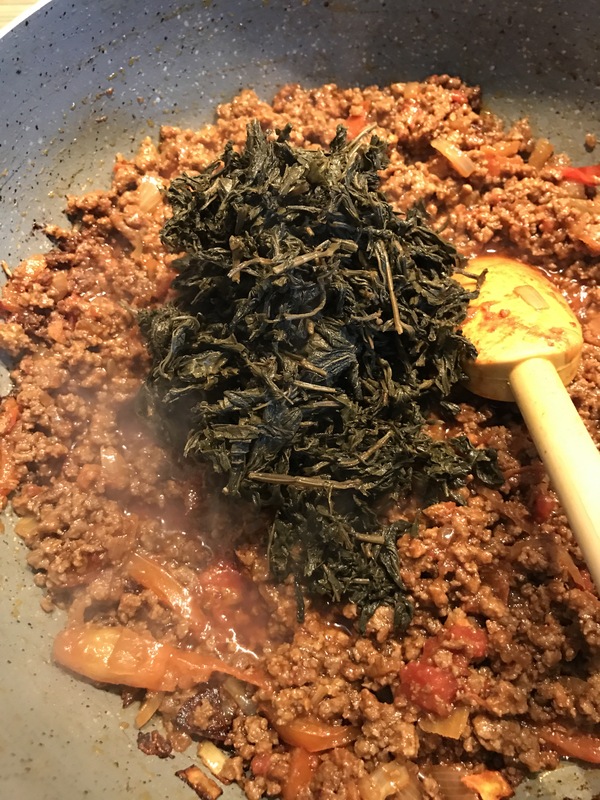 5.When the mince meat is ready add mutsotso to the mince meat bit by bit frying.Then add about half of the leftover water to the relish making sure as you pour you leave the sandy water underneath and it throw away.Cook for a further 20mins until mutsotso is well mixed with the mince meat.Serve with Sadza (I served with half half – half white half zviyo to make the sadza and fried goat meat. I’ld love to try the recipe, looks yum. Recipes passed down from family are usually really good.